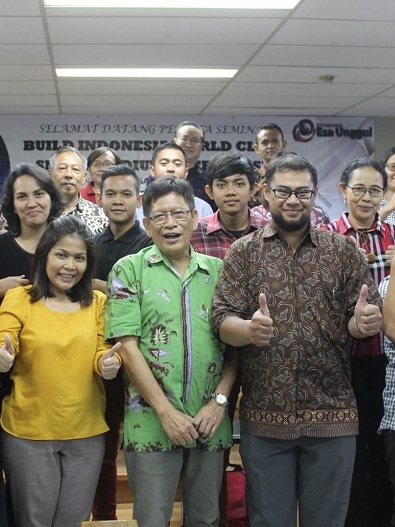 Esaunggul.ac.id, Esa Unggul University in cooperation with PT Smexindo Garuda City held a seminar entitled ‘Build World-Class Small Medium Enterprises’ in Jakarta, Tuesday, September 18, 2018. 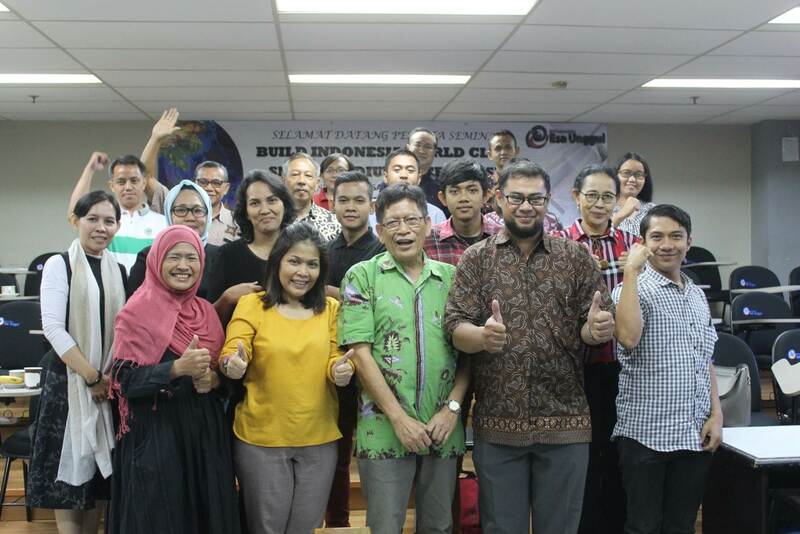 The purpose of the seminar was to give information and tips for Indonesian businessman to be able to penetrate international markets, especially to Middle East region. This seminar was opened by the Dean of the Law Faculty, Dr. Wasis Susetio, S.H., M.H. In his speech he said that university as an educational institution always encourages the students to be independent, among others to be an entrepreneur. In addition, he said that SME in Indonesia has given contributions to the economic development of Indonesia. “At Esa Unggul University, entrepreneurship has become one important field to be developed for students and lecturers. It is because entrepreneurship is one of Esa Unggul vision, regarding the important role of SME for the Indonesian Economic,” Wasis explained more several days ago. He hoped that all of the participants in the seminar could make use of this momentum to take further step to expand their business to international markets, and compete with other products from around the world. “In this seminar, I also hope that the participants who are SME activists, would make use of this opportunity to ask more questions to speakers who have experiences in doing expansion of their products to several countries. We, Esa Unggul University will support Indonesian local products, especially SME’s products, to be well-known abroad,” he said. The speakers of this seminar were: 1) an SME practitioners and also fruit exporter, Mrs. Swasti Karim, 2) Drs. Mudjiarto, the incubator activist among universities, 3) Ir.Hari Pudjo Santoso, a banking observer, and 4) the delegation of PT Smexindo Garuda Citi, Dr. Yundini Husni.